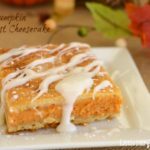 Baked Pumpkin Pancakes are the fluffiest buttermilk pancakes with the addition of pumpkin and spices. Customize them by adding chocolate chips, walnuts, or cinnamon and sugar Baking pancakes gives me a few extra minutes in the morning to help the kids! And Heaven only knows they need help! 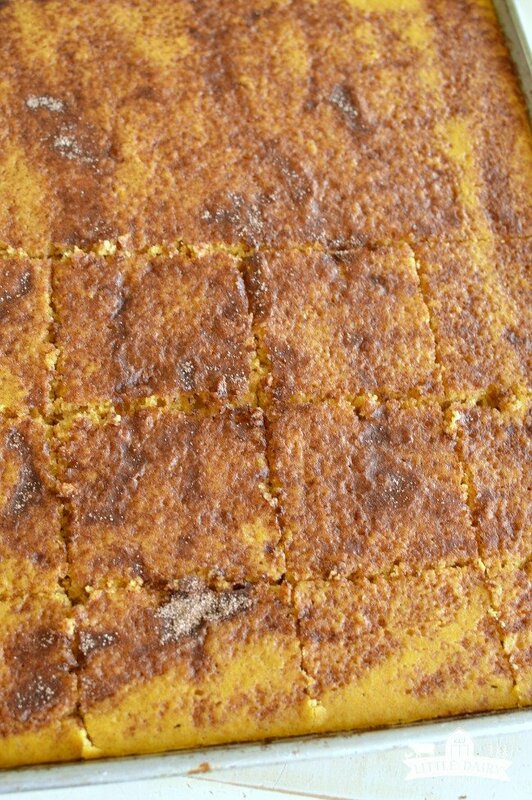 Baked Pumpkin Pancakes save my life on busy mornings when I just don’t have time to stand at the griddle making pancakes all morning long. Today Branson has a math test where about flipping inequalities in an equation if he is multiplying or dividing both sides by a negative number. And an essay form history test on economics, culture, and climate, which I know more now than I did two days ago. Carson is giving a speech about how farmers are misunderstood and needed a little help. Payson has a test where on subjects and predicates. Needless to say, this morning was a major cram session at my house. I was listening to essays, printing farm quotes, and drilling Payson on how the subject in a sentence is who or what the sentence is about not what it does or is. FYI, I haven’t needed to flip and inequality, or multiply and equation by a negative number since I was in 7th grade…okay, maybe since Carson was in 7th grade math. 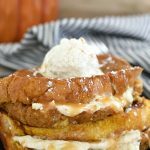 Anyway, if you are crazy busy in the mornings you need these Baked Pumpkin Pancakes as much as I do! Anyone else treasure recipes that don’t require a million dishes. I used one bowl and one measuring cup to make these pancakes. 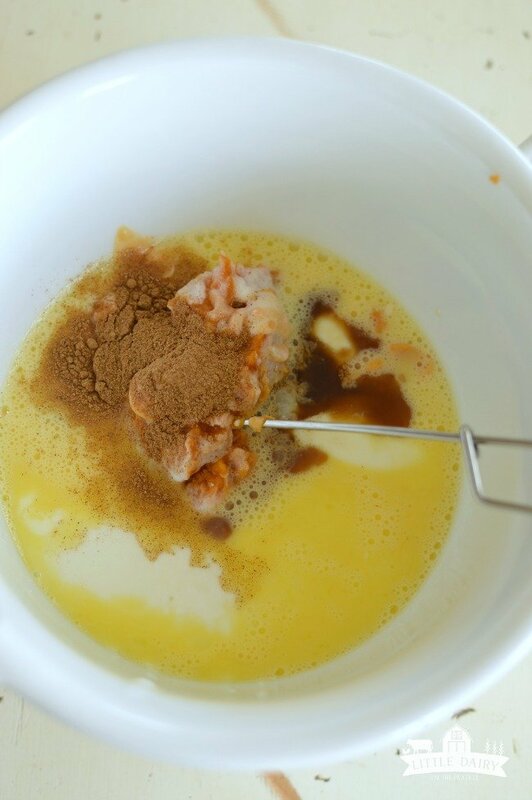 Add all the wet ingredients and the spices to a mixing bowl. Add the dry ingredients to the wet ingredients. Give it a quick stir. The pancake batter might be a little lump. That’s okay. Pour the batter in a greased half sheet baking pan. 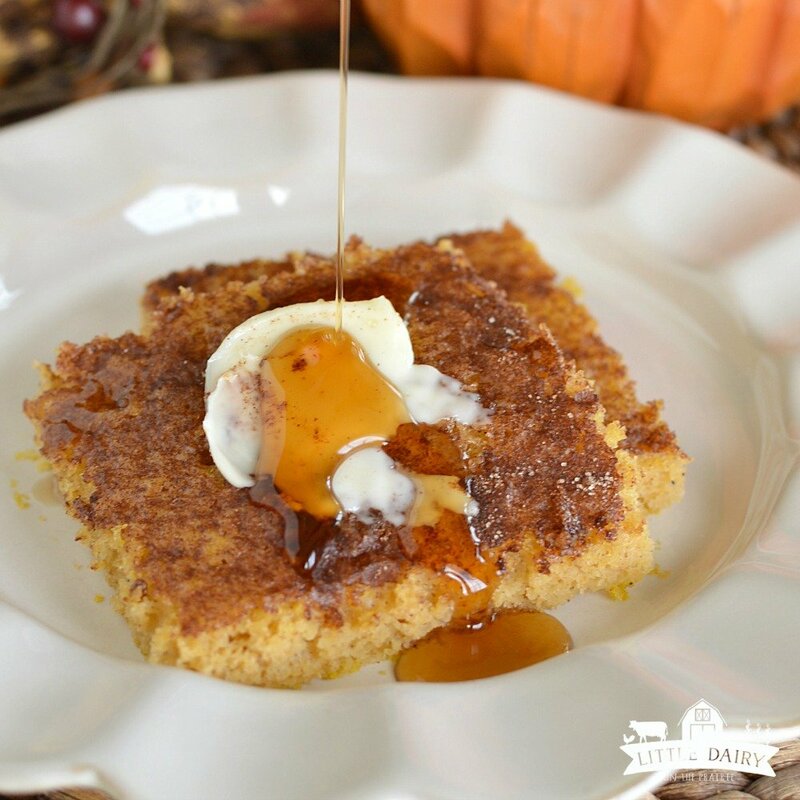 This Baked Pumpkin Pancake is a basic recipe that can be customized any way you like. Get creative with options that makes your family happy. Sprinkle with cinnamon and sugar. Add mini chocolate chips. Sprinkle with walnuts. Now my mind is going crazy with fun options! I can’t wait to hear about what you come up with! We like these best served with warm maple syrup. By the way, does anyone else loath cold syrup? I can NOT handle it. I would rather go hungry than eat cold syrup. Besides that, why would anyone who owns a microwave serve cold syrup? Enough about my rant! 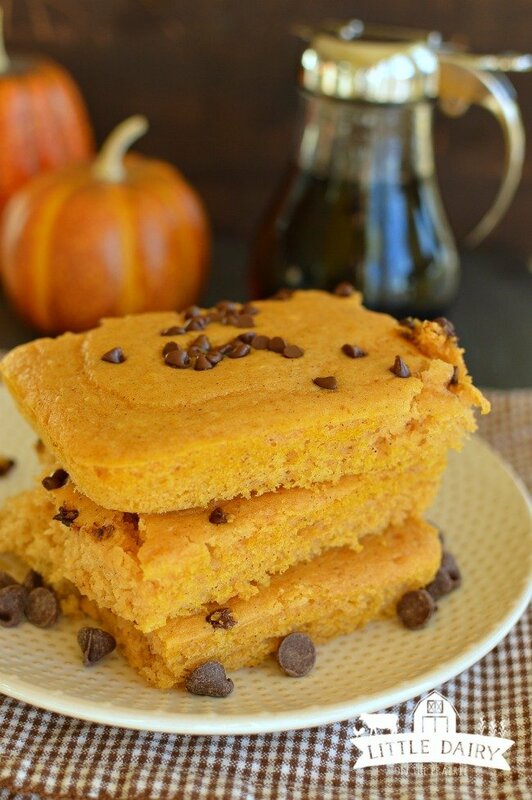 If find yourself doing a million things in the morning Baked Pumpkin Pancakes are for you! They are so fast and easy to throw together. The whole family loves them. And there’s usually enough to have leftovers which are fantastic warmed up in the microwave. Just do me a favor and warm the syrup up too! 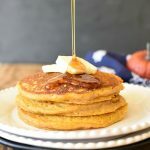 Baked Pumpkin Pancakes are the fluffiest buttermilk pancakes with the addition of pumpkin and spices. You won't find an easier pancake recipe! Preheat oven to 350 degrees. Spray a half sheet baking pan with non stick baking spray. Whisk eggs. Add buttermilk, pumpkin puree, vanilla, and oil. Whisk together. 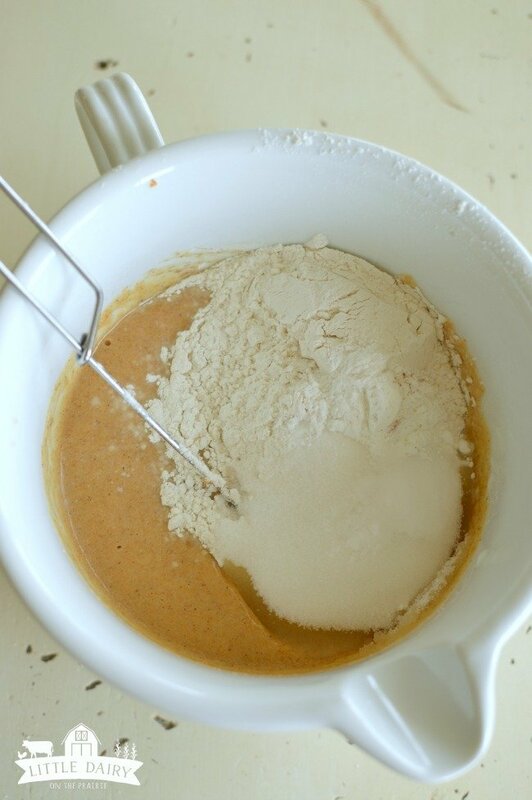 Add pumpkin pie spice, flour, sugar, brown sugar, baking powder, baking soda, and salt to wet ingredients. Stir until combined. Batter may have little lumps and that's okay. Pour pancake batter into greased baking sheet. 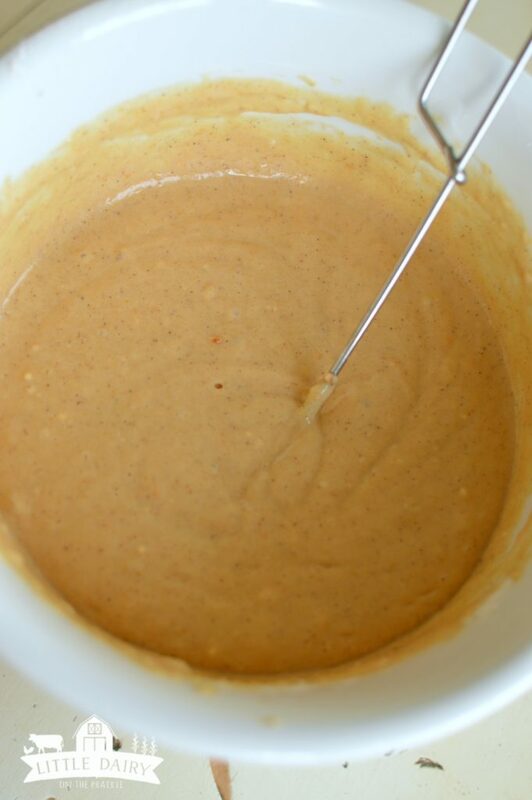 Sprinkle any desired toppings over batter. 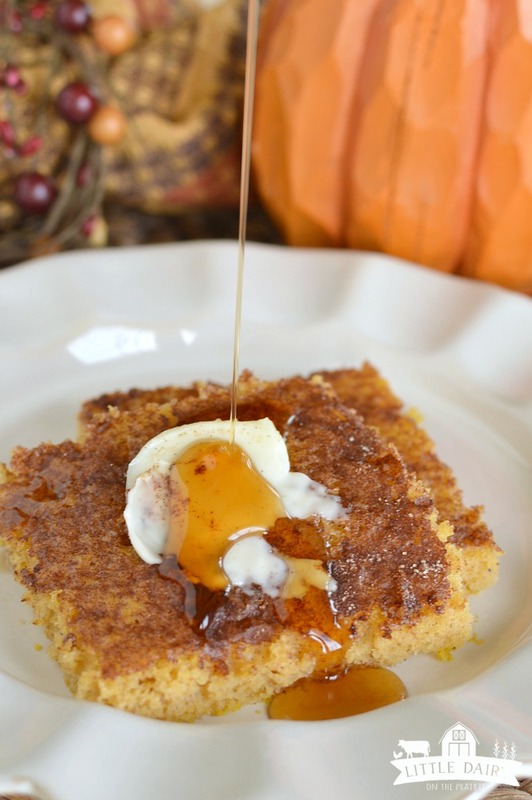 Cut into squares and serve warm with hot maple syrup! These look fantastic!! I can’t wait to make them!! 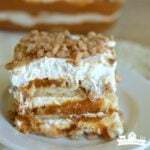 They are so easy and yummy! They are as yummy as they are easy! A different type of pancake than Im used too, but am on board. And good luck with all the math, history, etc homework. They are a little different than traditional pancakes, but so much easier! The homework makes me crazy but we keep plugging away at it! These are fantastic! I love how simple they are! Me too! I’m always looking for recipes that take about five minutes of my time and are still crazy good! Oh my goodness! This looks like heaven! You already know how I feel about these! Love!!!! You can’t go wrong waking up to these!